Send Itinerary to email "POMALO RESTAURANT "
Price: Contact us for the best price! 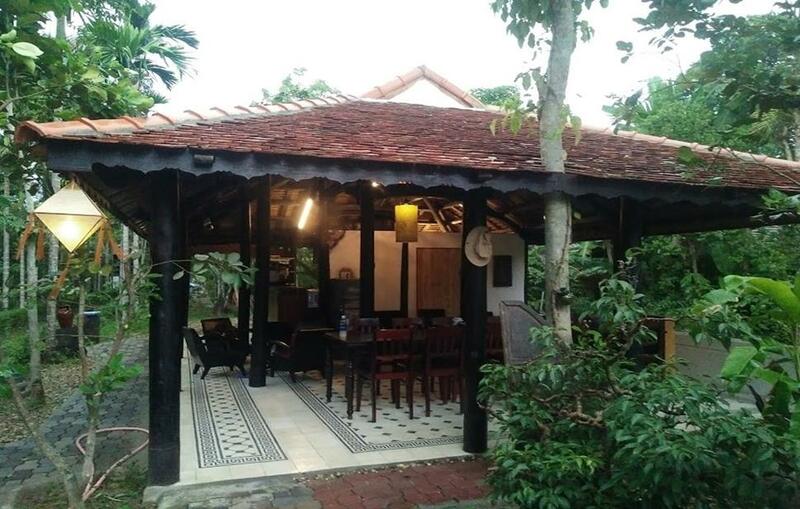 Pomelo Perfume Restaurant is a local restaurant that owns a peaceful, quiet and tranquil space at Thuy Bieu Homestay in Thuy Bieu Village. Pomelo Perfume Restaurant is a place to storage the value ​​and beauty of Hue Village. The cuisine of Pomelo Perfume Restaurant includes folk and traditional foods. Coming to Pomelo Perfume Restaurant, visitors will enjoy fast food, local meals and Hue specialties like Hue cakes. Each dish brings a different taste. From the way of processing to the decoration of dishes contains the rustic in Hue identity. When coming to Pomelo Perfume Restaurant, it is special thing to attract visitors that the architectural style of Hue garden house combines between modern and traditional to create unique . Besides, Pomelo Perfume Restaurant always brings to visitors intimacy, cozy as the feeling of returning to their family. All are ready to serve and take care of the best for our visitors. This is definitely the ideal place for you to enjoy Hue tastes. It is great to be in peace and enjoy the delicious food at Pomelo Perfume Restaurant on weekends.